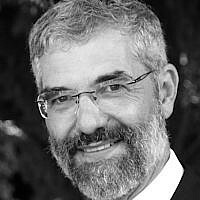 Rabbi Reuven Tradburks is the Director of the Rabbinical Council of America, Israel Region. He served as a congregational rabbi for 23 years, most recently in Toronto, where he was also director of the Beit Din of the Vaad Harabonim for 10 years. He and his wife Joyce made aliya in 2009 and reside in Jerusalem. All views expressed here are the authors and are not the views of any organizational affiliation.